That's a reality for the American workforce and in some fields, like high-end factory production, they are already here. It's easy to see how robots will help with manufacturing, order-taking, and even running back-end operations for retailers, restaurants, and many other businesses. However, robots have not yet, and likely won't in the near-term future, replace human workers in customer service or in many public-facing retail jobs. Yes, a mechanized worker can make sure you get your Big Mac with no onions and extra pickles more reliably than a human can, but robots lack certain attributes their human counterparts have. Wal-Mart (NYSE: WMT) has taken note of that and has not only increased compensation for its workers, it has also dramatically scaled up training. 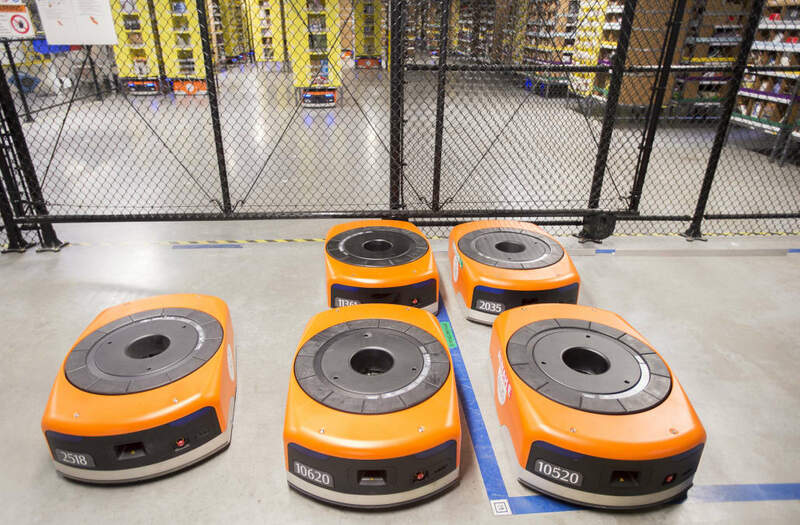 The company has not forsaken technology or even decided to not use robots, but it's spending heavily to prepare its human workforce for the changing environment they work in. CEO Doug McMillion talked about those efforts in the company's Q1 2018 earnings call on May 17. In his remarks, he detailed his experience at the grand opening of the chain's 100th training academy, in Edmond, Okla. "I met associates there who were new to Wal-Mart and were quickly learning about our business. I also met associates who have been with us for 30, 35 and even 40 years, and they were learning about new processes and tools," he said. "We plan to graduate approximately 225,000 associates from our U.S. academies this year." What is a Wal-Mart Academy? About 75% of Wal-Mart management in the United States started as hourly employees, according to McMillion. The chain promotes over 150,000 workers to jobs with higher pay and more responsibilities each year. That flow of entry-level workers into increasingly higher-level jobs makes training a benefit not only to employees, but also the company. All entry-level employees take a basic training course called Pathways. As people work their way up at the company, they have the opportunity to learn new skills at the chain's academies, dedicated teaching facilities where employees take 2- to 6-week classes in advanced retail skills. The academies have dedicated teaching staff and Wal-Mart expects to double their number to over 200 by the end of 2017. The academies teach front-line hourly supervisors, department managers, and assistant managers, helping them gain new skills they bring back to their stores. This has become especially important as Wal-Mart has been making major shifts in how it operates in order to better integrate its physical and digital operations. "It's exciting to see our people feeling confident and even more empowered to take charge of their careers," wrote the CEO in a post on the company's website. "Our customers are seeing a benefit, too. As these graduates are going back to their stores and implementing their new skills, they're helping transform our shopping experience to be a consistently positive one." Wal-Mart, under new digital boss Marc Lore, has been working to align its stores to a reality where consumers may order online and pickup in the store or buy something at a store for delivery at home. It's a fluid environment that requires a changed supply line system and employees better-versed in inventory management than simply looking in the stockroom for an item. Robots will have a part in that future helping with order picking, packing, and shipping at the chain's distribution centers. In addition, robot drones will take inventory and technology will be used in countless ways to enhance what human workers can do. While technology will help Wal-Mart reach its goals, the chain is acknowledging that front-line employees, store management, department leaders, and others will remain people. By investing in training those employees, Wal-mart not only builds better workers, it lowers turnover by showing people a path to advancement. Well-trained employees will not only be happier, they will do their jobs better, which is ultimately needed to get the most out of cost-saving technology advancements. David and Tom just revealed what they believe are the 10 best stocks for investors to buy right now... and Wal-Mart Stores wasn't one of them! That's right -- they think these 10 stocks are even better buys. Daniel Kline has no position in any stocks mentioned. The Motley Fool has no position in any of the stocks mentioned. The Motley Fool has a disclosure policy.